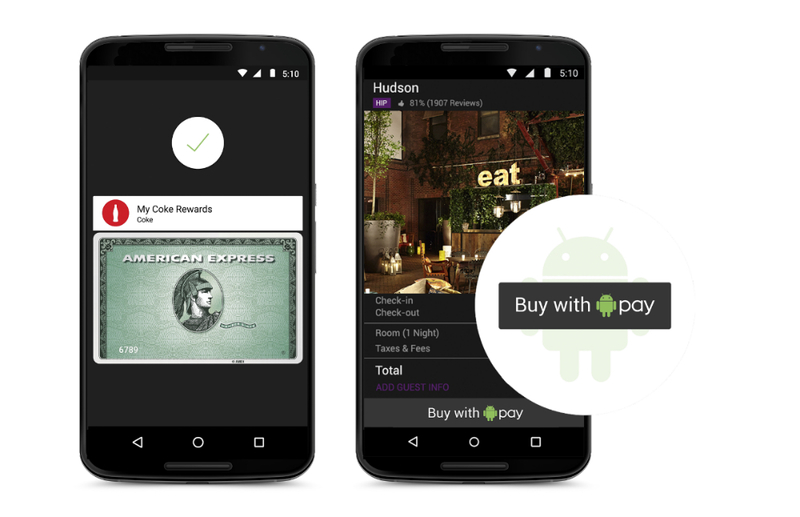 As rumors suggested, Google announced Android Pay this morning at Google I/O. With Android Pay, users can sync all of their debit cards, credit cards, and loyalty cards inside one service. At a partnered merchant, users can use tap-to-pay to make purchases through NFC technology, or use the service to make purchases through applications. As of right now, Google has a large handful of partners, such as Best Buy, Whole Foods, and McDonalds, but the list will continue to grow. For applications that will use Android Pay, the list is quite large. There is B&H, Dominos, grubHub, OpenTable, Newegg, and many more. For additional information, read Google’s complete Android Pay blog post. We will continue to update this post with additional info.